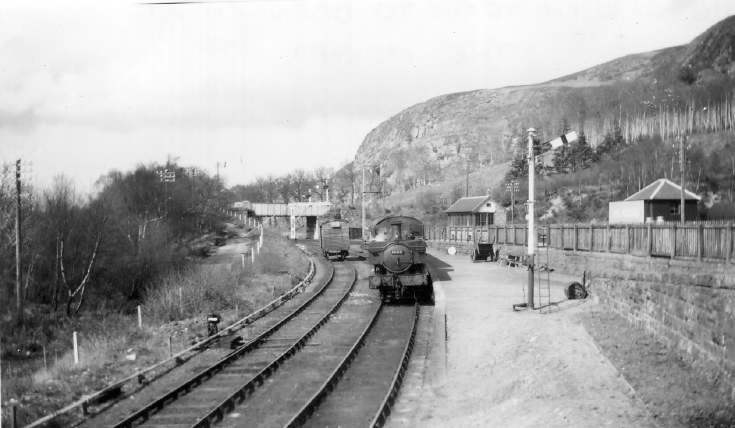 Monochrome photograph of the 1646 at the Mound platform ~ photograph taken at 1.45 p.m. on 17th April 1957. One goods wagon on siding on the Fleet side of the station, and signal box in right background. Interesting to note that the engines did also face chimney first to Dornoch!